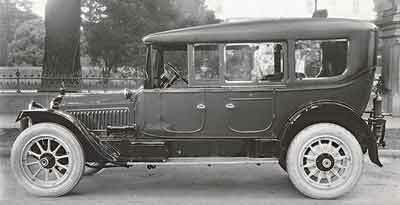 The S.S. Albright Company of Sacramento was typical of the many regional American coachbuilders who operated in the early part of the twentieth century. When the principals of those firms passed away in the second half of the century, their history was lost forever. They can only be traced by using city directories or an occasional advertisement in the local newspaper, which typically give little to no information about the history of the firm or the quality of its products. Unlike the vast majority of those builders, Albright’s history has been reasonably well-documented. An article written by Albright giving the history of the firm was printed in a central California trade magazine and a handful of pictures of the firm’s work taken by a commercial photographer, the McCurry Foto Co., managed to escape the paper drives of the Second World War. Consequently, Albright’s story is not that of the well-advertised bespoke custom body builder, but rather of the forgotten regional firms which were located in every mid-to-large sized city in North America. 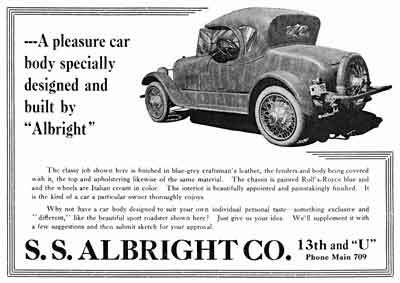 Many of these firms built bodies that were of equal quality to those produced by the more celebrated practitioners of the coachbuilder’s art, and it’s immediately obvious that Albright was among them. Sidney S Albright (b.1876-d.1948) was born near the city of Bucyrus in Crawford County, Ohio. At the age of sixteen years Albright was apprenticed to a Crawford County carriage-builder where he became experienced in all aspects of the trade. After the requisite three years had passed, Albright plied his trade in Dayton, Ohio; Jackson, Michigan and metropolitan New York City. It came to pass that Albright became known as a first-rate painter and in 1896 he accepted a position as the foreman of the large Studebaker Bros. Works in South Bend, Indiana. 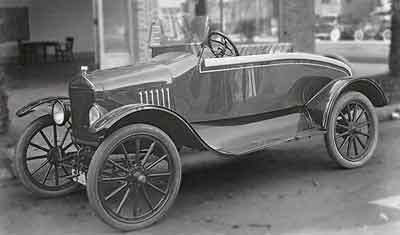 In 1903, Albright left Indiana to take charge of the paint department of A. Meister & Sons Company, a well-known Sacramento, California vehicle builder. By 1909, Albright had saved up enough money to open his own firm, and established the S.S. Albright Co. on the first floor of a leased building located at the intersection of 24th and K Sts. in midtown Sacramento. 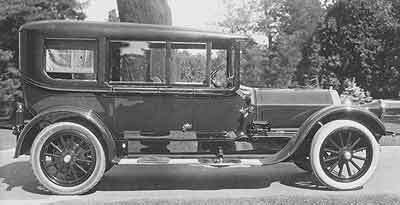 Early on Albright manufactured commercial bodies and hearses for local customers and during the early teens began to manufacture an occasional automobile body for Sacramento’s luxury car dealers. The second floor of the 28’ by 60’ structure was soon utilized for storage of completed vehicles and in 1916 Albright relocated from 1112–1114 24th St. to a new 30,000 sq.ft. daylight factory located at the intersection of 13th and U Streets. 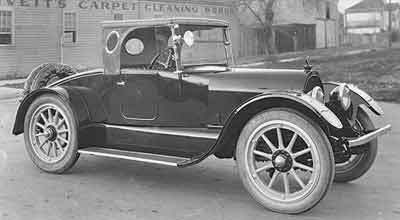 Period advertisements offered blacksmithing, spring and radiator work in addition to the firm’s well-accepted commercial and custom automobile body construction. A pleasure car body specially designed and built by "Albright"
"The classy job shown here is finished in blue-grey craftsman's leather, the fenders and body covered with it, the top and upholstering likewise of the same material. The chassis is painted Rolls-Royce blue and the wheels are Italian cream in color. The interior is beautifully appointed and painstakingly finished. It is the kind of car a particular owner thoroughly enjoys." "Why not have a car body designed to suit your own individual taste - something exclusive and 'different', like the beautiful sport roadster shown here? Just give us your idea. We'll supplement it with a few suggestions and then submit sketch for your approval." "Paint Your Car A Victory Color. The new victory colors are attracting the attention of many motorists whose cars need painting. Why not choose one for your car? Pershing Green, St. Mihiel Brown, Rheims Gray, Armistace Yellow, Joffre Blue, Victory Red, Verdun Maroon and Italian Cream were available. "You know of course, that an "Albright" paint job is done by expert workmen, using the finest materials. It is then finished in scientifically constructed bake ovens that give a luster and permanence that's unequaled." 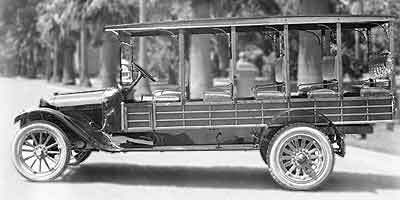 Most of Albright’s work was for local merchants and his well-equipped facility sold and installed the popular Browntruck and Longford rear axle conversion kits which turned a standard Ford Model T into a ½- to 3-ton medium-duty truck. They also built a large number of delivery vehicles and distributed the popular line of Reliance trailers. “From a modest beginning in a 28 by 60 two-story building just a trifle more than nine years ago to a plant now occupying approximately 30,000 square feet of space, thoroughly modern and splendidly equipped in every detail, is the story of the rapid growth of the S.S. Albright Co.
“October, 20, 1909, on Twenty-fourth, between K & L, S.S. Albright started his little carriage shop, and the quality of his work soon attracted a large following. 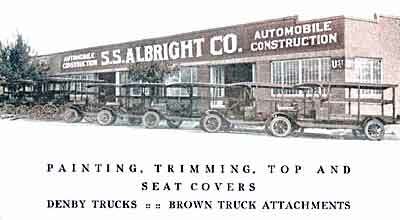 In a short time more space was necessary, and still more and more, until finally on October 31, 1916. the S.S. Albright Co. moved to its present location on Thirteenth and U, where a space of approximately 30,000 feet is devoted to automobile construction in all phases, body building, blacksmithing, bake-oven auto painting, trimming, radiator and sheet-metal work. “Besides, this progressive firm also successfully handles the agency for BrownTruck and LongFord truck attachments and Reliance Trailers. “The BrownTruck attachment enables the owner of any pleasure car, either new or used, to be conveniently converted into a capable, finely constructed truck of from one to three ton capacity. This enables the man with a hauling problem to solve it at the least possible cost. 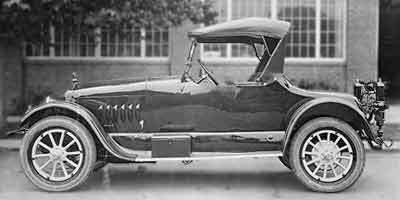 “The LongFord Truck Attachment makes the ordinary Ford roadster or touring car into a three-quarter ton truck. The wheel base is increased to 136 inches, thus providing a loading space of eight feet back of the driver's seat. 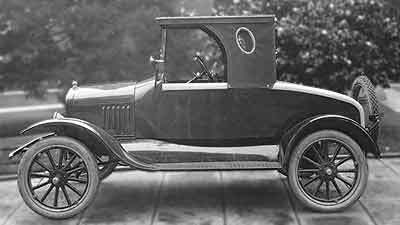 The original Ford is thoroughly reinforced and the same pneumatic tires are used. “The Reliance Trailers permit greatly increasing the hauling capacity of a motor truck without appreciably burdening it. It is a well-know fact that a man, a horse, or a motor truck can pull more than it can carry - consequently one or more Reliance Trailers is the ready solution of rapidly increasing hauling problems at a greatly reduced cost. “One of the outstanding featured and one that invariably impresses every visitor to the plant is the continual flood of daylight. By means of a saw-tooth roof a great abundance of natural light is made possible at all times. This permits the men in the various departments of the plant to do their work under the best possible conditions. It also eliminates electric light bills, thus reducing overhead expense, and finally, the cost of the finished work. More than this, the plant is finely ventilated and so arranged that every detail is handled with the least possible loss of time and effort. “Body building of all kinds - pleasure cars, stage bodies, bus bodies, truck bodies, delivery bodies, etc. - are a very special feature in which the Albright Co. has earned an enviable reputation for the sturdiness of its construction. “Recently several specially designed passenger car bodies have been started in the body building department and they have attracted the attention of every one who has visited the plant and seen them. 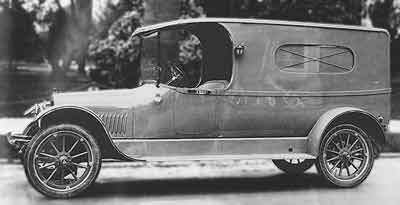 A specially designed passenger car body permits the owner to incorporate his own ideas as to convenience and such other special features as may appeal to him; at the same time giving him the benefit of the unusual work turned out by the Albright Company. Hearse bodies also have been given very special attention and some of the finest jobs of this kind that can be found in the Sacramento Valley are products of the Albright plant. “Blacksmithing, spring-making and repairing, and auto chassis lengthening are also an important branch of this firm's service. 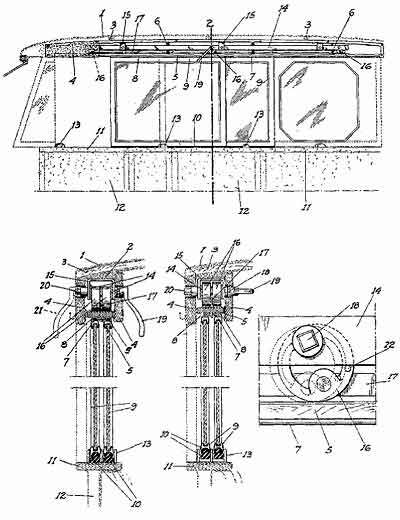 “A special spring furnace and special tempering process enable the Albright Company to build a complete spring or to make accurate, satisfactory and lasting repairs of broken sections of springs. This is just a special featured of the blacksmithing department, which is equipped to handle all classes of blacksmithing work, including auto chassis lengthening. “But perhaps, most important of all is the bake oven process employed in the final finishing of automobile painting. This process gives to the varnish finish a permanence that outclasses and outwears the finest factory job. “Recently the auto trimming department was moved into larger and more convenient quarters, due to the great volume of work attracted to this department through the exceptionally fine work turned out - particularly, the beautiful "Deluxe" tops. 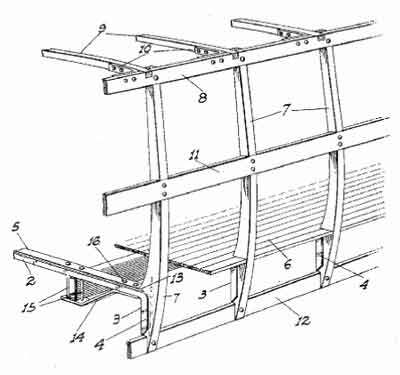 “In order to meet a continual demand for radiator and sheet metal work a department devoted to this class of automobile construction has been installed. Special attention is given the automobile, truck, and tractor radiator repairs as well as to fender repairs, straightening bento or jammed fenders and removing dents from automobile bodies. All other phases of sheet metal work are given the accurate attention of expert workmen assisted by the best of modern equipment. “All in all, the S.S. Albright Company plant is a credit to the community in which it is situated, catering to a large volume of business through the entire Sacramento Valley and extending well into the San Joaquin Valley. 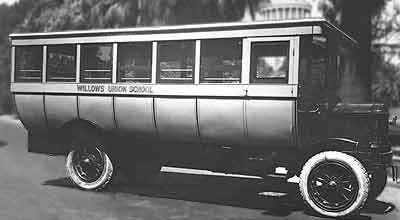 The combination passenger and freight commercial body became popular on the west coast during the late twenties and a period Albright advertisement offered their version of the vehicle mounted on a 1930 White bus chassis. The bus/truck carried 8 passengers in the front compartment, with room for 1 1/2 tons of freight in the rear. 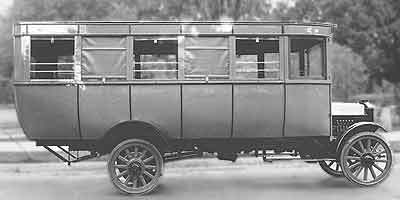 Albright held a number of patents relating to 'California Top' sliding windows and lightweight bus construction and was an authorized distributor for the Denby Motor Truck Company in the late teens and early twenties. Unlike many of his competitors, Albright survived the Depression although he was forced to vacate his 30,000 sq ft factory in 1934 and relocate to a leased 50’ x 150’ facility located at 235 North 16th St. in north Sacramento. The city directory includes a listing for S.S. Albright Co. through 1939, but from 1940-1943 it only lists Albright’s home phone number and address – his occupation, salesman. Albright passed away at an Oakland residence in 1948 at the age of 73.